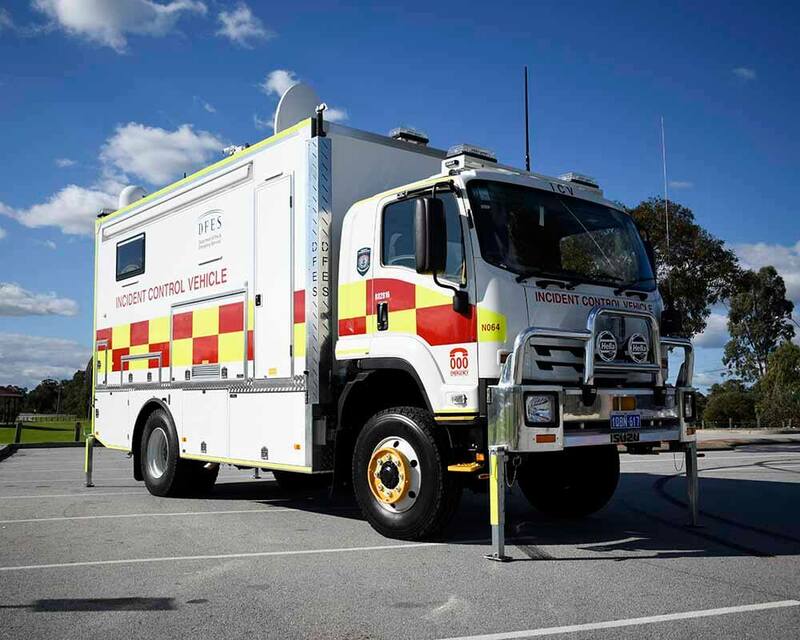 Omnibus Services completes the new Department of Fire and Emergency Services (DFES) 4×4 Incident Control Vehicle (ICV) for operations in the North West. Based in Broome the 4×4 ICV will allow for off road access bringing the ICV to where it is required being on road or off. Powered by a 8kVa Onan Cummins Generator laden with 400 litres of water and 400 litres of Fuel this mobile office can operate in remote locations fully self-dependent, featured with a Toilet, interior kitchen and slide out exterior kitchen makes this vehicle self-contained giving the members some minor relief in a demanding job. Based on the popular Isuzu FTS800 4×4 Cab Chassis the Omnibus Body Module manufactured from insulated composite panel ensuring the lightest available body shell which still offers an incredibly strong structure. Fully equipped with 10 metre telescopic mast with mounted weather station, satellite communications dish and wired with the latest IT equipment this vehicle ensures to be a vital link on the front line of Fire Fighting in Regional Western Australia.